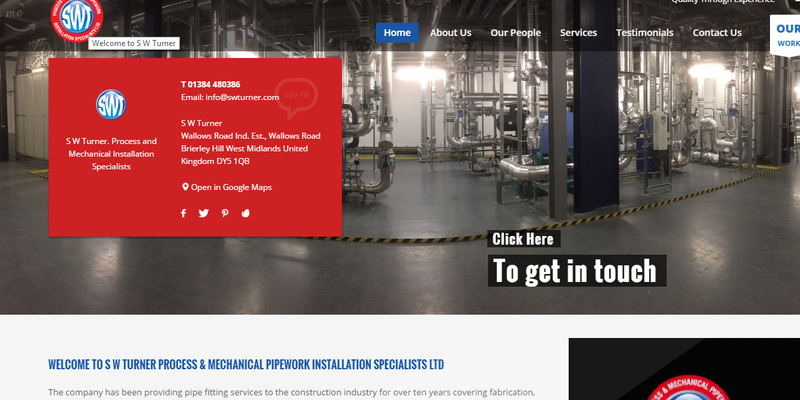 W Turner Process & Mechanical Pipework Installation Specialists LTD contacted Surf Works requiring a redesign of their website. 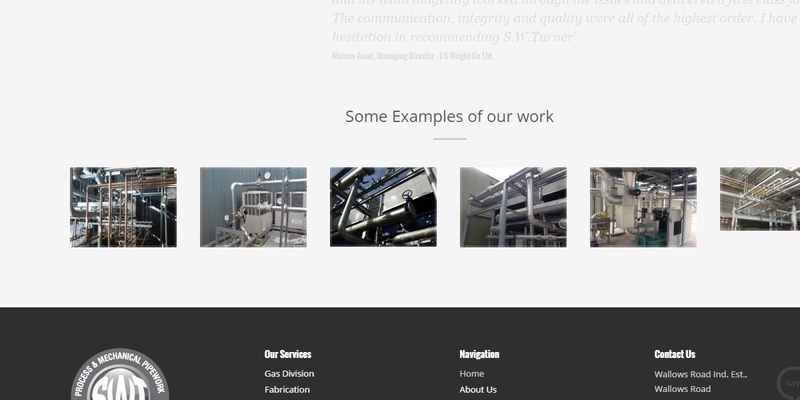 The aim of this project was to update their information, images and animations to provide a clear and concise idea of the work carried out by S W Turner for their client base. This well-established company employs multiple staff and provides many specialised custom built products. They required a website that was easy to navigate while presenting the broad scope of the work that they do. We decided to produce a WordPress site enabling easy updates and maintenance. 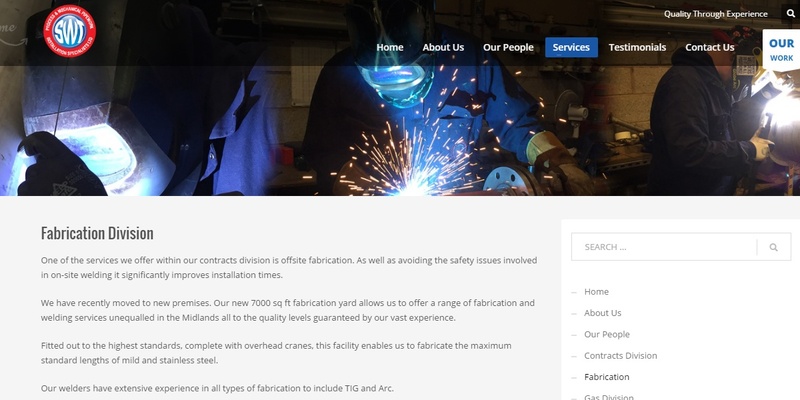 The design of the site was closely linked to their existing branding, using images of their employees at work and galleries of completed projects to illustrate the wide variety of products and services available. We uploaded testimonials to the site to support their reputation as a great supplier. The website enables their clients to appreciate the competence and quality of work produced by this long term business.